The orangish-brown furred Earth Kitsune is a two-tailed Kitsune from the Wilderness Realm. This Kitsune can be rather headstrong, somewhat stubborn, and very steadfast in her demeanor. Though she is relatively young for a Kitsune (having lived less than a century at the time she first crossed paths with Mr. Tofu), she is very articulate, concise, and presents herself as very knowledgeable. 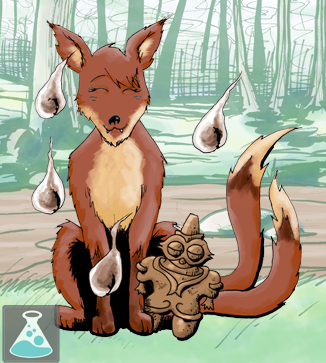 The Earth Kitsune draws her power mainly from soft minerals and earth-like materials. As such, she has a certain strength in manipulating earthy substances and enjoys creating animated clay golem creatures. She is usually seen with a small clay doll figure following her around. 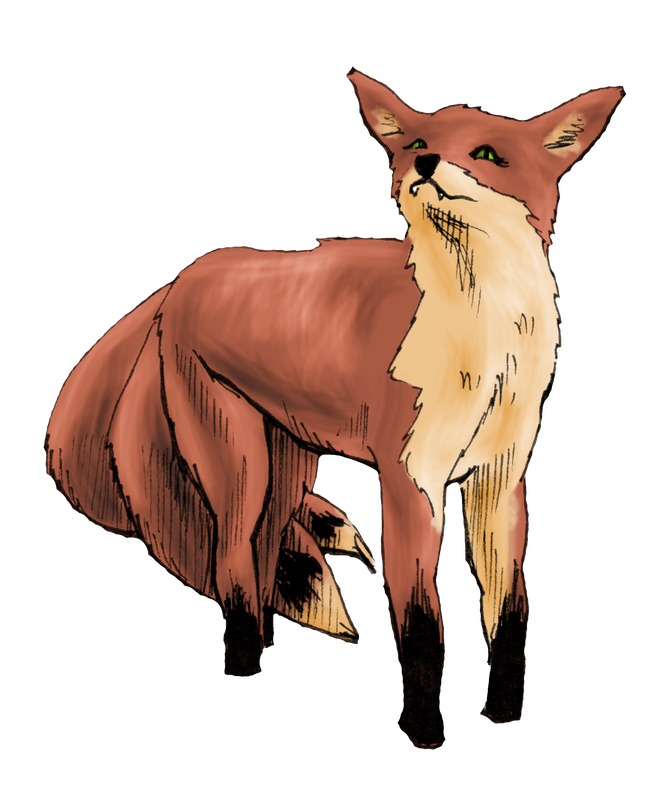 Reports of sightings of this particular Kitsune have been more frequent in the human world, probably because she usually resides in more commonly human-traversed areas such as: open fields, rolling green hills, and farmlands. These are prime areas from which the Earth Kitsune can draw power for her survival in the human world.